Combining a great look with productivity and comfort in a single product is not normally a simple task, especially when it comes to construction machinery. However, the new CUBE cab in Linden Comansa‘s tower cranes combines these three qualities, while bearing in mind that the cab is a work space and, as such, productivity should always be the number one requirement. In terms of the external appearance, the aim is a modern and innovative design that gives Linden Comansa‘s cranes a distinctive look. Inside, all of the elements have been designed to convey warmth and comfort to the user, through their materials and good quality finishes. 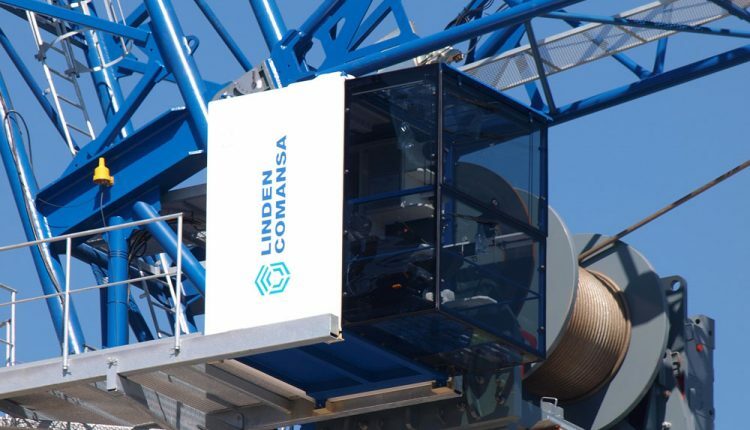 Linden Comansa‘s cranes are operated across the world, so the design of the CUBE cab has taken into account extreme thermal requirements, both hot and cold. Facilitating maintenance was also one of the goals during the design of this work space. As a result, the window panes are easy to replace when necessary and they can be bought anywhere in the world as they do not require a mould, unlike curved window panes.